The vase style lighting comes the cover made with bamboo wires. And it does not come with any extra color to maintain its natural taste and feeling. When switch on that vase style bamboo lighting, it shows to be the different visual effect and feeling from the bamboo across net. It’s one of the environmental home decor recommended. 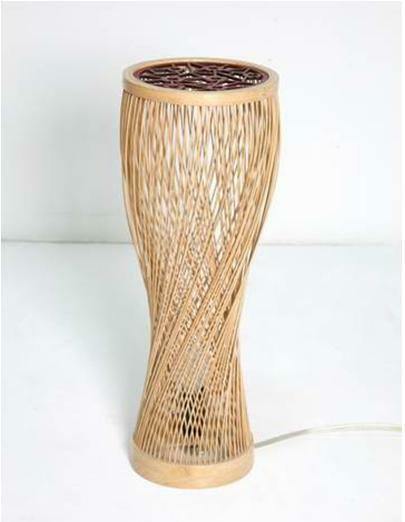 In the top of that bamboo lighting, it can also put any light decor onto.